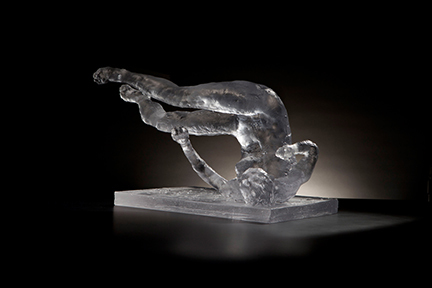 Barbara Edwards Contemporary, Toronto is pleased to present a solo exhibition of work by renowned artist, Eric Fischl. 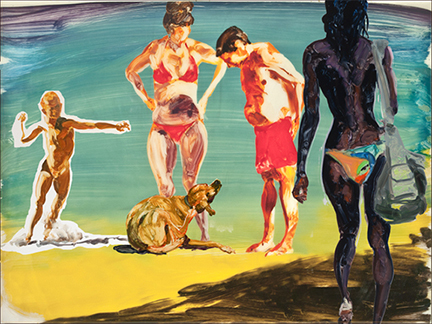 Associated with the neo-expressionist movement of the 1980s, Fischl is a master of creating psychologically charged narratives that can be irreverent and sacred at once. His paintings are recognized for their striking use of lush colours, expressive brush strokes, and attention to qualities of light. 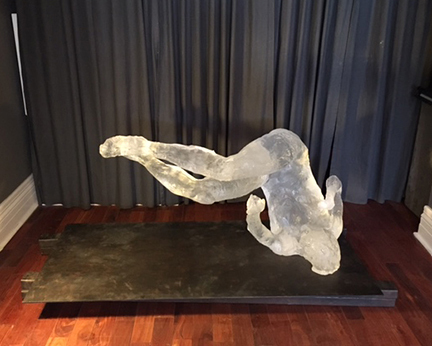 Eric Fischl has been the subject of solo exhibitions at major institutions such as Kestnergesellschaft, Hannover; Stadtkirche Darmstadt, Germany; the Delaware Center of Contemporary Art; the Art Gallery of Ontario; the Whitney Museum of American Art, New York; the Museum of Contemporary Art, Chicago; and the Institute of Contemporary Arts, London. 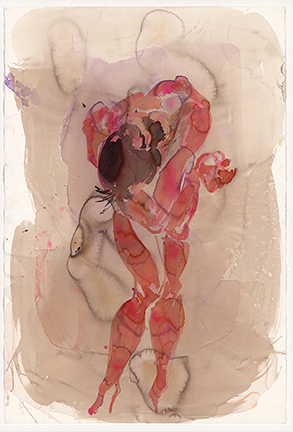 He represented the United States at the 41st Venice Biennial in 1984, and exhibited at Documenta 8 in 1987 and the Whitney Biennials in 1983, 1985, and 1991. 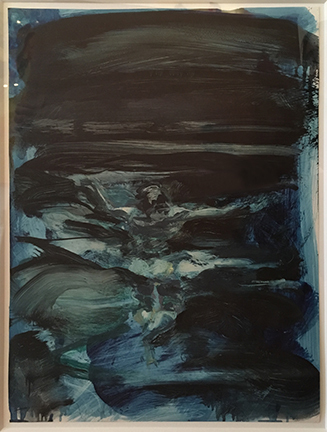 Fischl’s work is represented in the collections of important institutions such as the National Gallery of Canada, the Art Gallery of Ontario, the Art Institute of Chicago, National Gallery of Art, Washington, D.C., the Museum of Modern Art, New York, the Whitney Museum of American Art, New York, the Solomon R. Guggenheim Museum, New York, and the Metropolitan Museum of Art, New York. 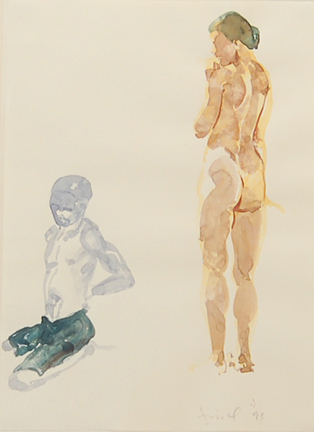 Fischl’s work has been featured in over one thousand publications. 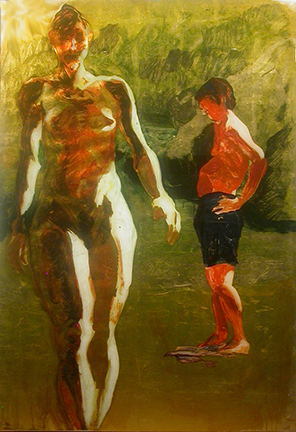 Eric Fischl lives and works in Sag Harbor, New York. 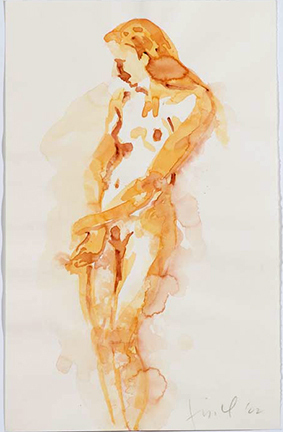 pigment print on rag paper, 48” x 32"
51" x 27" x 28"
12" x 18" x 14"
oil on paper, 16" x 12"
watercolour on paper, 15.75" x 10"
watercolour on paper, 15.5" x 11"
mixed media on paper, 23.5" x 63"